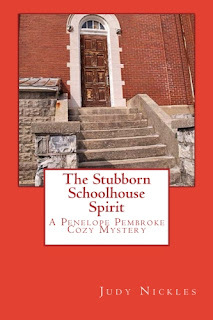 When Penelope agrees to help her best friend Mary Lynn Hargrove, the mayor's wife, renovate the town's first school as a community center, she discovers the old building isn't quite as empty as it appears. Mary Lynn hears voices, and light bulbs and even flashlights go instantly dark at the bottom of the 13 steps leading to the basement. Is the town's founding father Jeremiah Bowden, who built the school, still around? Or his sister, Miss Daisy, the first teacher? Or is it someone—or something—more sinister? Then Sam telephones unexpectedly and tells Penelope to stay away from the place, but he won't tell her why. When she decides not to take his advice, she discovers she's rolled out a blueprint not for remodeling but for disaster. 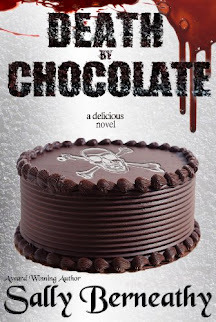 Penelope couldn’t look at her son without seeing his father: six feet of handsome with curly black hair and dark eyes that crinkled at the corners the way Travis’s had done, melting her resolve to be a virginal bride. Sometimes she wondered about Brad. He’d dated a lot of girls, even Shana Bayliss who’d taken up with Travis not long before the fire at Pembroke Point. Now he was seeing Abigail Talbot, the librarian hired to replace Shana. Even her name sounded prim to Penelope. As far as she knew, her son’s bachelor pad in the new Primrose Apartments on Magnolia Street was just that, and she couldn’t help but hope nothing in skirts had ever seen inside of it. “So what’s new in town?” Jake asked and sat down again. “That cat is going to get blessed run over if he doesn’t stop wandering around town,” Penelope said, setting a plate in front of her son. The word ‘cat’ brought Abijah, the massive orange tabby, down from his perch in the bay window. He curled around against Bradley’s ankles. “What kind of name is that—Dancer?” Jake asked. “Marion and Millie?” Penelope asked without finishing her thought. “From Fayetteville, you say? Why’d they come here?” Jake leaned toward his grandson.